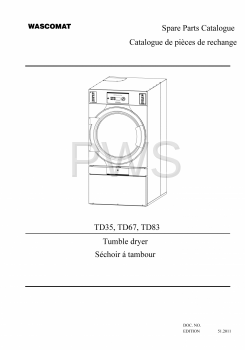 Find commercial Wascomat TD83 dryer replacement or repair parts fast at PWS Laundry, the largest worldwide supplier of Wascomat commercial laundry parts for washer and dryer repair service. 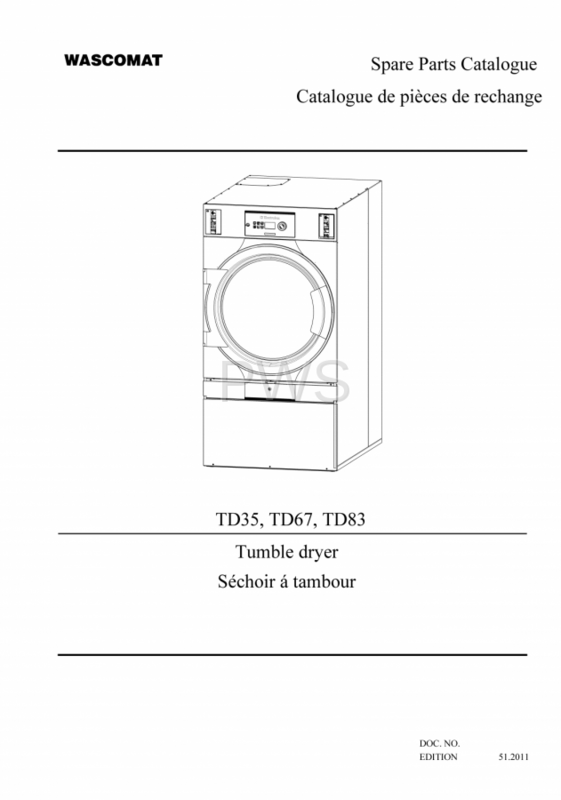 When you purchase genuine Wascomat TD83 dryer parts at PWS Laundry, you can trust you are buying a Genuine Part that is backed with industry-leading support and commercial laundry & laundromat expertise. Search our commercial Wascomat TD83 replacement parts list by part number, by model number, or by part description. We offer same day shipping for in-stock online Wascomat TD83 dryer parts ordered before 4PM Pacific Time (business days only). We offer the best quality Wascomat genuine parts, to ensure your Wascomat commercial laundry machines will function properly.